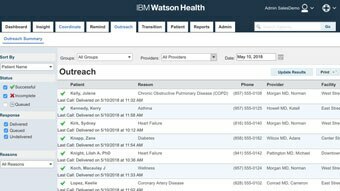 IBM® Phytel® Outreach delivers automated, evidence-based communications that enable providers to focus on promoting better health outcomes. 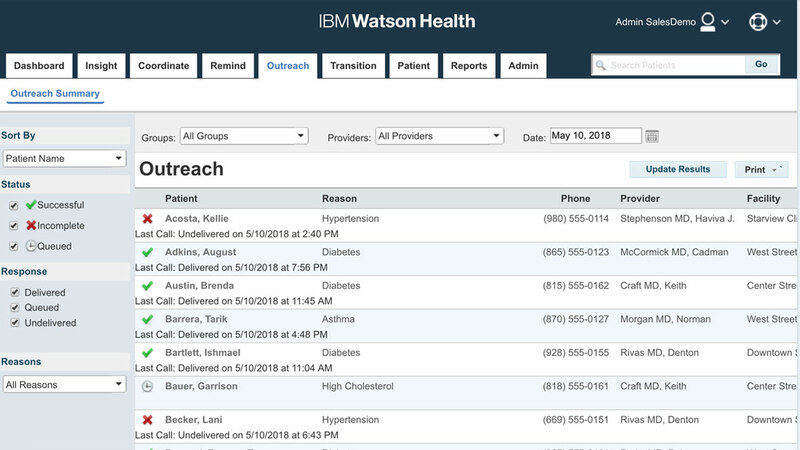 IBM® Phytel® Outreach delivers automated, evidence-based communications that enables providers to focus on promoting better health outcomes with their top-priority patients and simplify patient alignment with quality measures and initiatives. Enhance both chronic and preventive care. Reduce variances in care. Help maximize patient engagement. 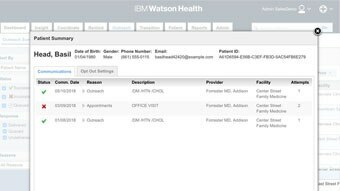 Optimize medical staff time. Boost quality-based payments. Qualify for PCMH auto credit. Increase efficiency and productivity. 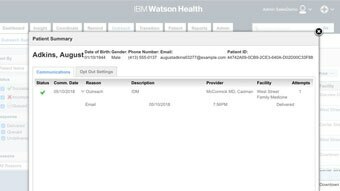 Reduce expensive manual errors and oversights.